I am so sorry about that post title. It sounds all kinds of wrong doesn't it? Like Fifty Shades of wrong! I should just start by clarifying that my lady cave is indeed my play room...no wait, that sounds bad too. 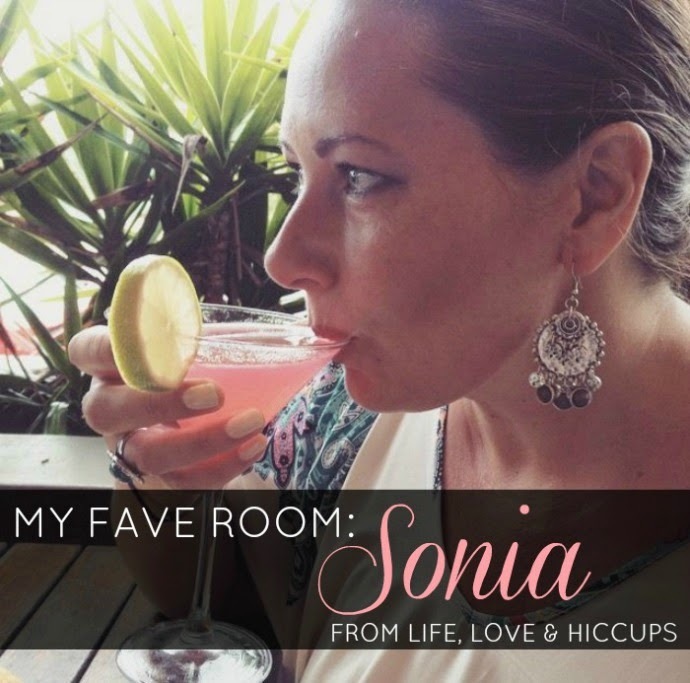 My lady cave is my home office | craft room | sanctuary | hiding place from the kids and today I am over with my gorgeous pal Sonia from Sonia Styling sharing some pics and exactly what it is I love about my fave room.